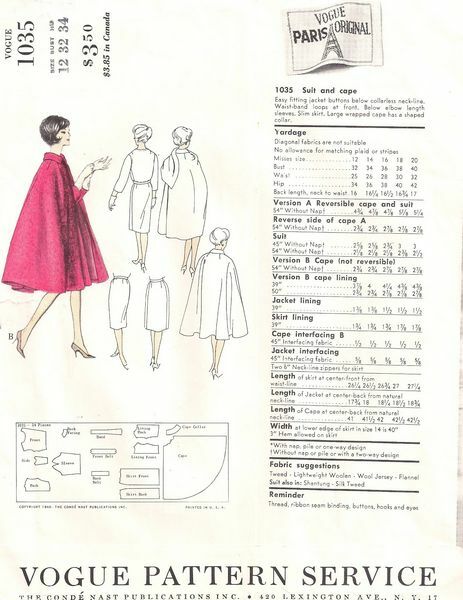 Vintage Vogue Paris Original suit and reversible cape pattern. Easy fitting jacket buttons below collarless neckline. Waist band loops at front. Below elbow length sleeves. Slim skirt. Large wrapped cape has a shaped collar. Pattern is complete. Cape pieces are neatly cut. All other pieces are uncut.